Hugo Simberg’s aunt, Alexandra Simberg, ran a preparatory school for girls in her house. She also gave Hugo and his twin brother Paul elementary lessons in reading, writing and arithmetic. 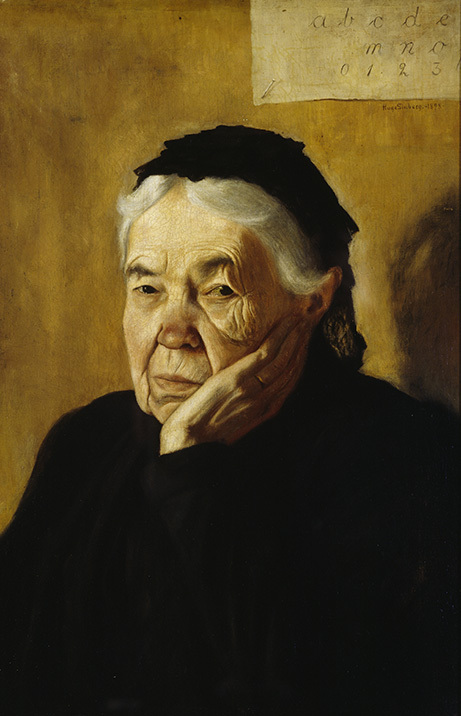 Later on Auntie Alexandra played an important role in Simberg’s artistic career, when he studied in the Finnish Art Society’s school in the Ateneum. He made good progress initially, and liked school, but soon his family began receiving upsetting news in his letters. – Hugo Simberg in a letter home to his family, 26 February 1895. Hugo Simberg Archive, Finnish National Gallery. 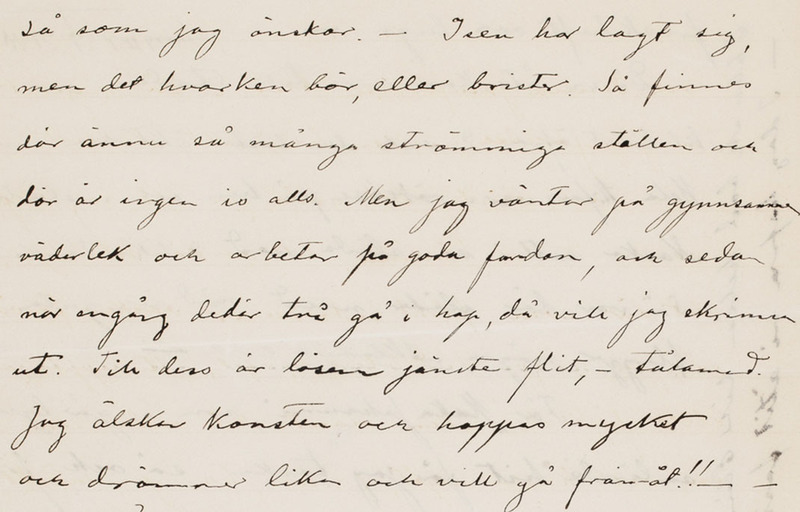 – Hugo Simberg in a letter to his mother, Ebba Mathilda Simberg, 13 March 1895. Hugo Simberg Archive, Finnish National Gallery. 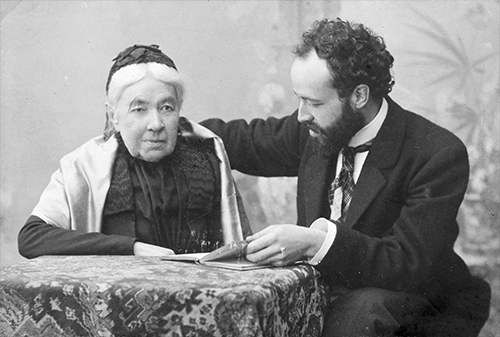 Mother and father consoled and reassured him, but the most far-sighted was Aunt Alexandra, who wrote him a letter and included a press clipping about a new movement in art, Symbolism. 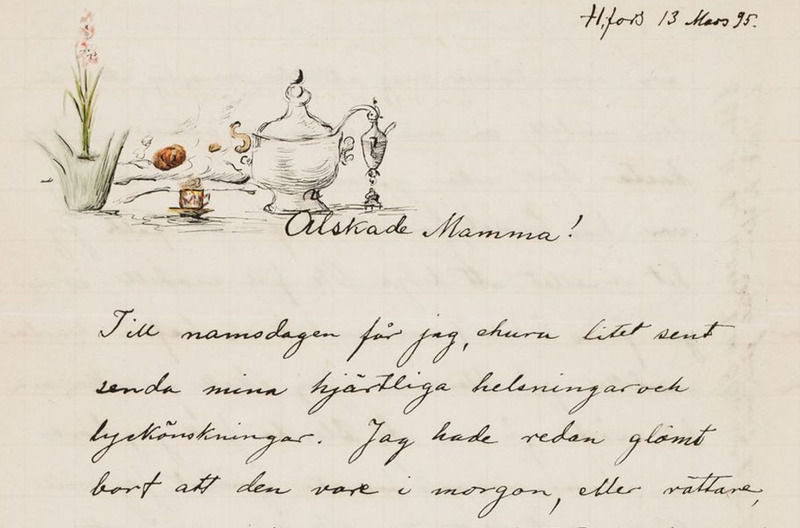 – Alexandra Simberg to Hugo Simberg, 30 March 1894. Hugo Simberg Archive, Finnish National Gallery. Aunt Alexandra’s advice bore rich fruit in the art of Hugo Simberg. Fantasy motifs inspired by Symbolism would comprise the most familiar core of his output. Contemporary art critics did not appreciate them, however, whereas the 1898 autumn exhibition of the Artists’ Association in the Ateneum signalled a breakthrough for Simberg. The painting Auntie, a realistic portrayal of Alexandra Simberg, which omits not a single furrow on her brow, was unequivocally praised by the critics. Hugo Simberg and Alexandra Simberg.